For all the brilliance of football legend Lionel Messi and his national teammates, it is in the indoor five-a-side discipline that Argentina can claim to be the best in the world, after their men's triumph at the last edition of futsal’s World Cup, held in Colombia in 2016. Futsal at the Buenos Aires 2018 Youth Olympic Games will consist of two events, with the men’s and women’s tournaments taking place across the Tecnopolis Futsal and CENARD Futsal venues. With 10 teams split across two groups for each gender, the two best-placed from each group will advance to the semifinals, where the top team from each group will face the second-placed team from the other. The action starts on Sunday (7 October), with the women’s competition kicking off at 14:00 local time when Spain face Bolivia in Group C and Dominican Republic play Cameroon (Group D). Men’s competition gets under way from 18:00, when Panama face Iraq (Group A) while Costa Rica and Russia do battle in Group B. For full fixtures click here. “I’ve never imagined playing for the home team at an Olympic Games. This is beautiful and unique,” said Argentina’s Facundo Gassmann (pictured top right). The Argentina men’s team will face Egypt on their debut (kick-off 20:00 on Sunday at Tecnopolis Futsal) and will also take on Slovakia, Iraq and Panama in Group A. Brazil, a team with a rich futsal tradition, will headline Group B alongside Costa Rica, Russia, Iran and Solomon Islands. 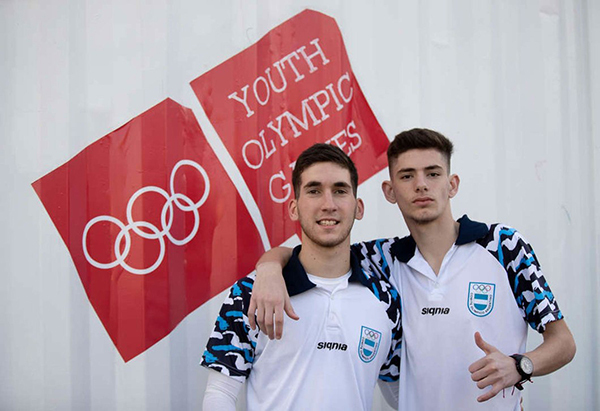 Only futsal players born between 1 January 2000 and 31 December 2003 will compete at YOG. The field of play is 40 metres in length and 20 metres wide. Playing time will be two periods of 20 minutes, with each team entitled to a time-out in each half.